The specialists of our drug store has developed special packaging without a single sign of distinction and not attracting attention http://healthkeepermagazine.com. Raise your glasses for a toast. 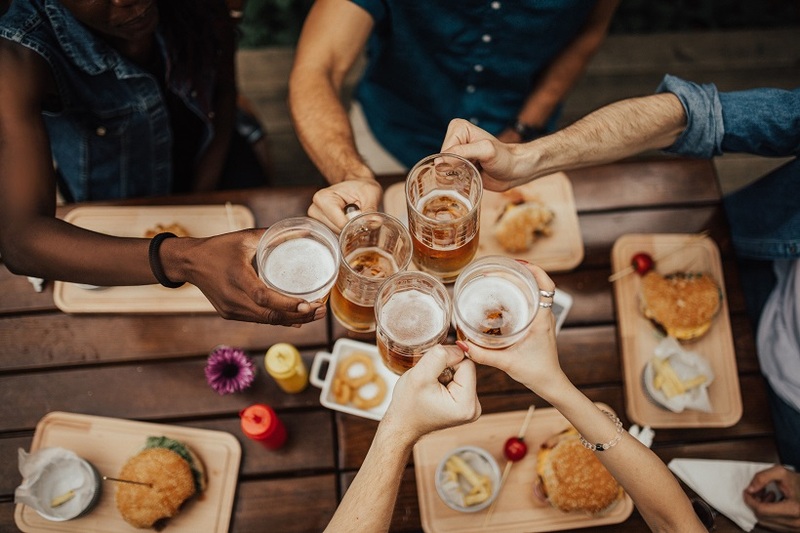 Previously, the San Jose craft beer scene consists of Uproar Brewing, Clandestine Brewing, Hermitage, The Forager Eatery, Hapa’s Brewing Company, and Santa Clara Valley Brewing. Last month, Camino Brewery and Taproom was added to that list! Founded by Nathan Poulos and Allen Korenstein, the concept behind Camino Brewery was inspired by the business partners’ 1,900 mile cycling trip along the Camino de Santiago pilgrimage trail in Spain. After experiencing local Spanish cuisine and the friendships that were made throughout the trip, Poulos and Korenstein returned back to the States to brew their own beer at several local Bay Area breweries. Eventually, the team established a following and was able to fund the construction of their own brewery and taproom, which we’ll get to enjoy firsthand this weekend. Camino partners with local suppliers to create fresh, flavorful craft beer, such as their Café Con Lege Sweet Milk Stout, brewed with single origin coffees from around the world, supplied by Chromatic Coffee. In a recent press release about the brewery, Mayor Liccardo was quoted saying, “I thank Camino Brewery for their investment in San Jose and adding its unique flavor to the growing tapestry of Silicon Valley’s vibrant urban core.” We couldn’t agree more with the mayor’s excitement and look forward to tasting Camino’s unique flavors this Saturday! With more businesses demonstrating a growing interest in downtown San Jose, it’s clear that 2018 is the year to make your move and join this amazing community. We can help you! Intempus Realty is proud to assist local entrepreneurs and residents alike with finding the perfect properties in the Bay Area. View our San Jose MLS listings online or contact us today for more information about purchasing property in the Bay Area!